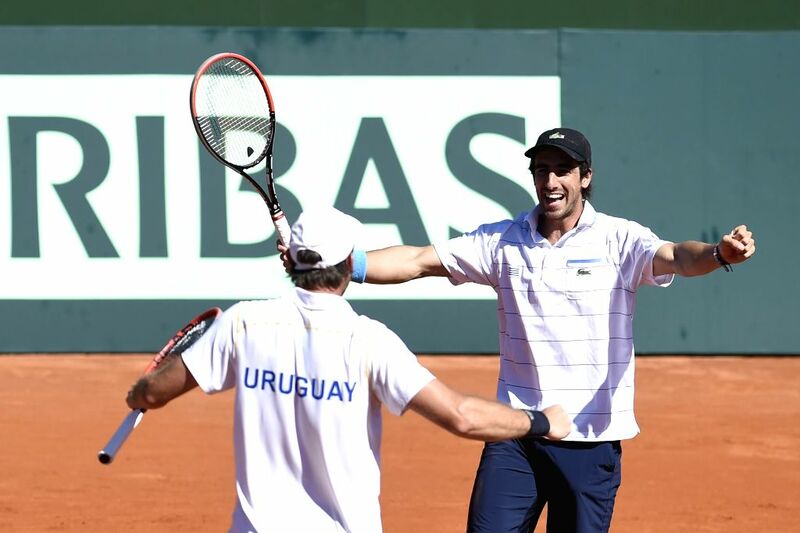 MONTEVIDEO, March 8, 2015 - Uruguayan players Martin Cuevas (L) and Pablo Cuevas celebrate the victory after the Davis Cup Group 1 of American Zone doubles match against Colombia's Juan Sebastian Cabal and Robert Farah in the Lawn Tennis Carrasco Club in the city of Montevideo, capital of Uruguay, on March 7, 2015. 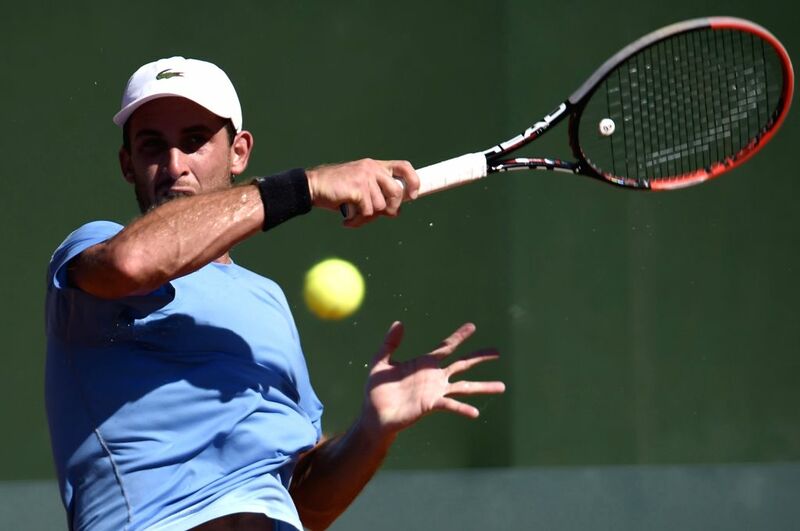 Uruguay's Martin Cuevas returns the ball during the men's singles match of the Group 1 of the American Zone of the Davis Cup against Colombia's Alejandro Gonzalez, held at Carrasco Lawn Tennis Club in Montevideo, Uruguay, March 8, 2015. 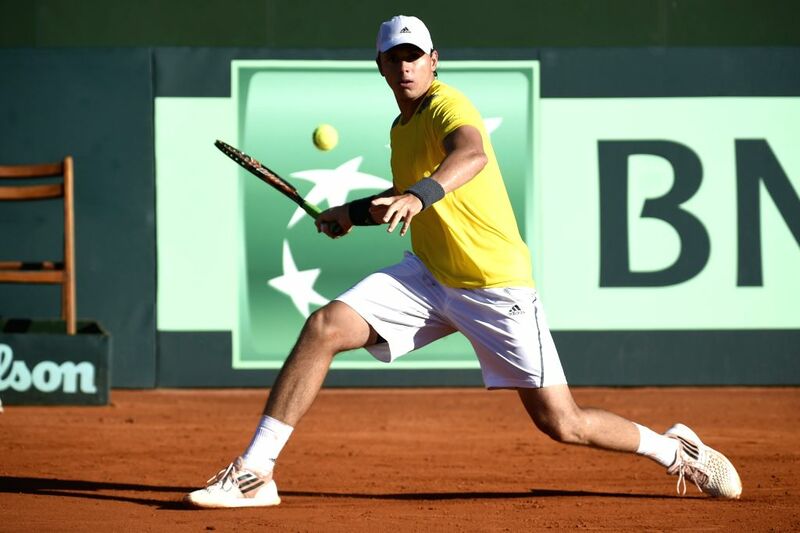 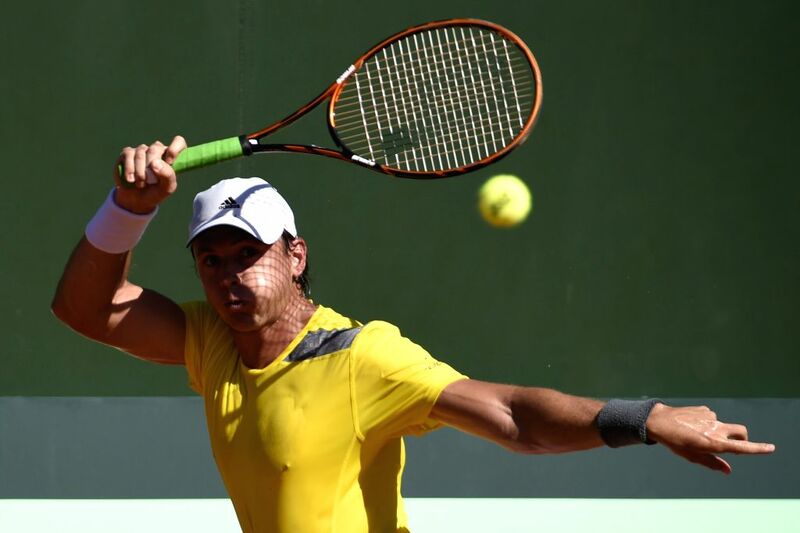 Colombia's Alejandro Gonzalez returns the ball during the men's singles match of the Group 1 of the American Zone of the Davis Cup against Uruguay's Martin Cuevas, held at Carrasco Lawn Tennis Club in Montevideo, Uruguay, March 8, 2015.